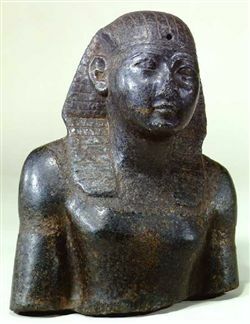 Bust of a pharaoh with the royal headdress - the upper part of a statue broken at the waist. The striped nemes headdress has a hole at the front for the uraeus. There are traces of an usekh collar and bracelets.